The letters of my friend Mr. Stark Munro appear to me to form so connected a whole, and to give so plain an account of some of the troubles which a young man may be called upon to face right away at the outset of his career, that I have handed them over to the gentleman who is about to edit them. There are two of them, the fifth and the ninth, from which some excisions are necessary; but in the main I hope that they may be reproduced as they stand. I am sure that there is no privilege which my friend would value more highly than the thought that some other young man, harassed by the needs of this world and doubts of the next, should have gotten strength by reading how a brother had passed down the valley of shadow before him. 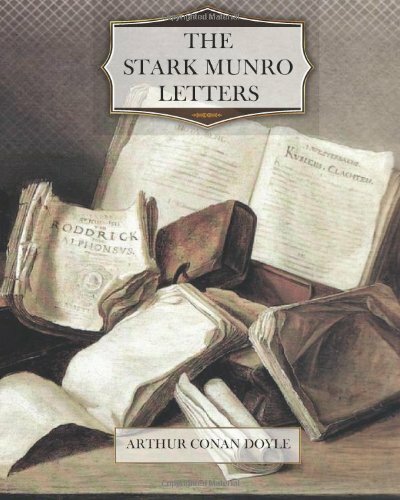 The Stark Munro Letters is a novel by British author Sir Arthur Conan Doyle first published in 1895 by Longmans, Green & Co. in London, England. As an epistolary novel it takes the form of twelve long letters written by J. Stark Munro between March 1881 and November 1884 and sent to his friend Herbert Swanborough of Lowell, Massachusetts. Stark Munro is a recent graduate from medical school, and the letters detail his attempts to create a medical practice in partnership with the brilliant but unorthodox James Cullingworth. The novel is in fact a thinly-disguised account of Doyle’s experiences with George Turnavine Budd with whom he was in partnership, before finally setting up his own practice in Plymouth in 1882.